Las Vegas, NM. Typical folk-victorian L-shaped floor plan with corner porch, simplified vergeboard, and decorative quoins. IDENTIFYING FEATURES: Porches with spindlework detailing, L-shaped or gable-front plan, cornice brackets, details often with Italianate or Queen Anne inspiration, sometimes Gothic. Basically, working-class or middle-class versions of Queen Anne. Simpler details and basic, asymmetrical floor plans. BACKGROUND AND INSPIRATION: The spread of Victorian-era styles was made possible by railroads expanding into smaller towns and cities. Mass-produced wood features could be transported quickly and cheaply almost anywhere. Home builders often simply added trim and ornament to traditional folk houses. Folk is typically defined by common or vernacular building traditions of particular regions or locales. 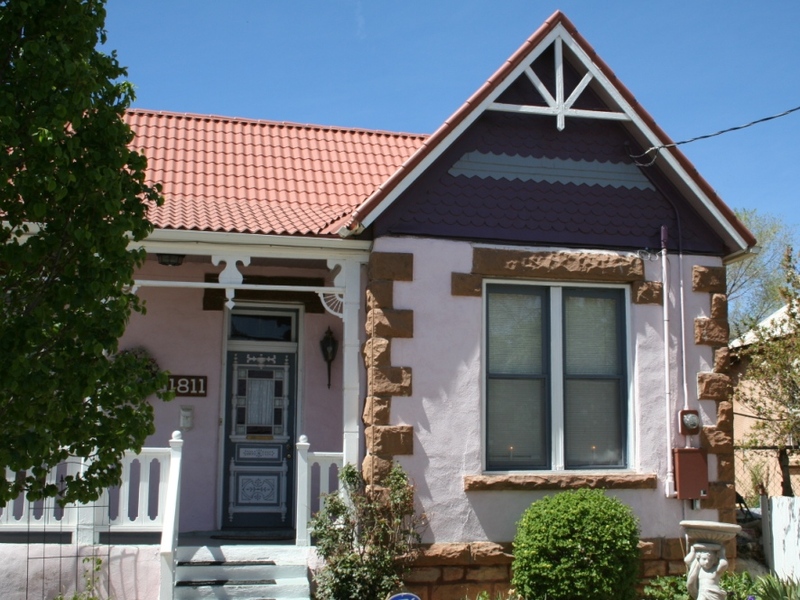 Older folk homes were often updated with new ornamentation, now available everywhere due to pattern books and mass production and sale of wood features. 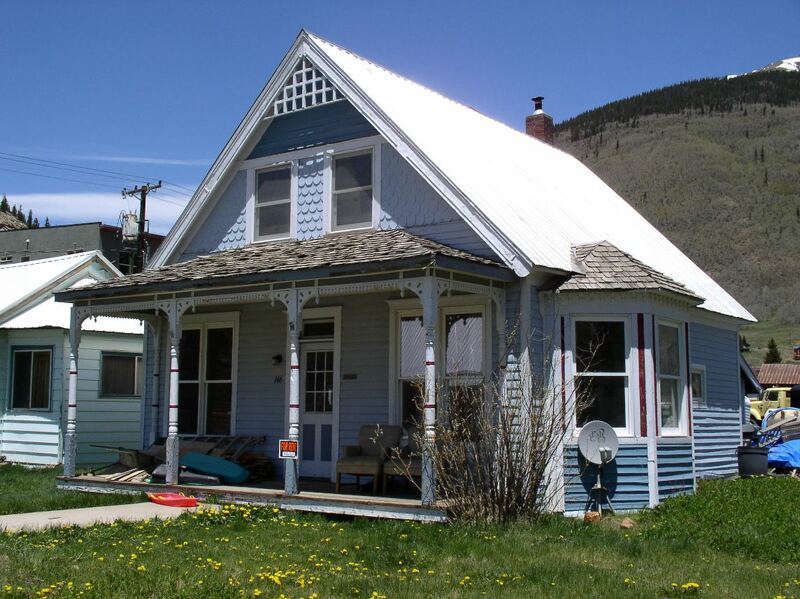 This was a very common style found in turn-of-the-century western towns settled during that time. For More Photos of Folk Victorian on Flickr, Click Here. San Antonio, TX. 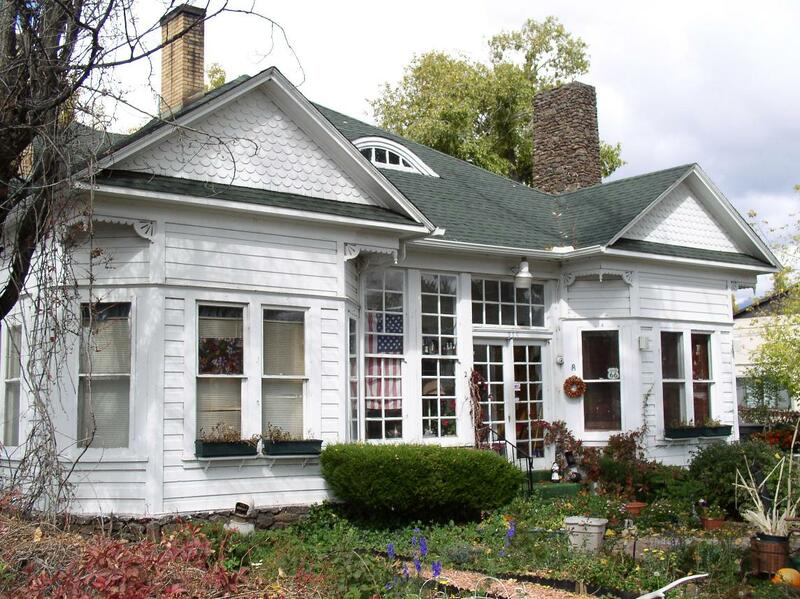 Prominent features include the cantilevered gable over the bay window, L-shaped floor plan, patterned siding on the gable, clapboard siding, single-pane sash windows, and porch with latticework. Basically a miniature version of Queen Anne style. Flagstaff, AZ. A Queen Anne cottage, probably on the elaborate end of Folk Victorian. Includes the popular cantilevered gables, twin bay windows, and eyebrow dormer. Still, a smaller, middle-class home in the American West. 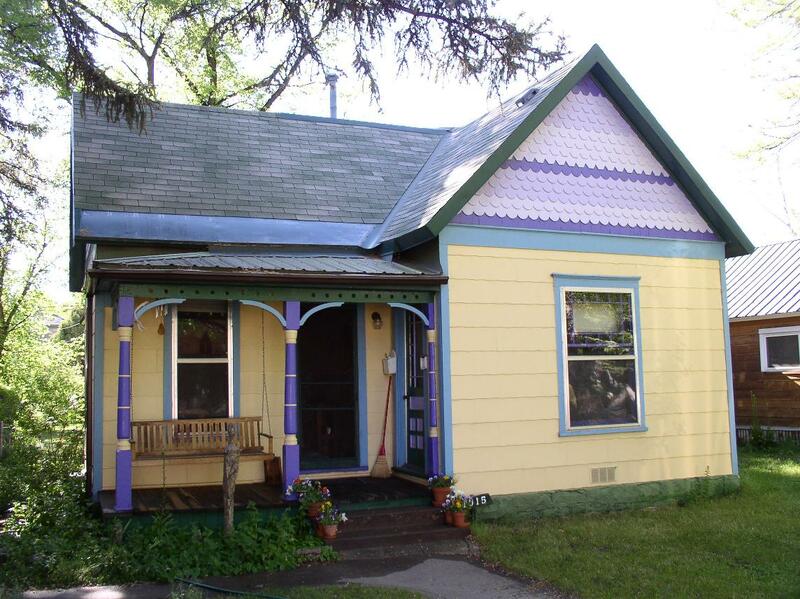 Silverton, CO. An otherwise simple front-gable home with spindlework and porch, colorful siding, and bay window. Durango, CO. 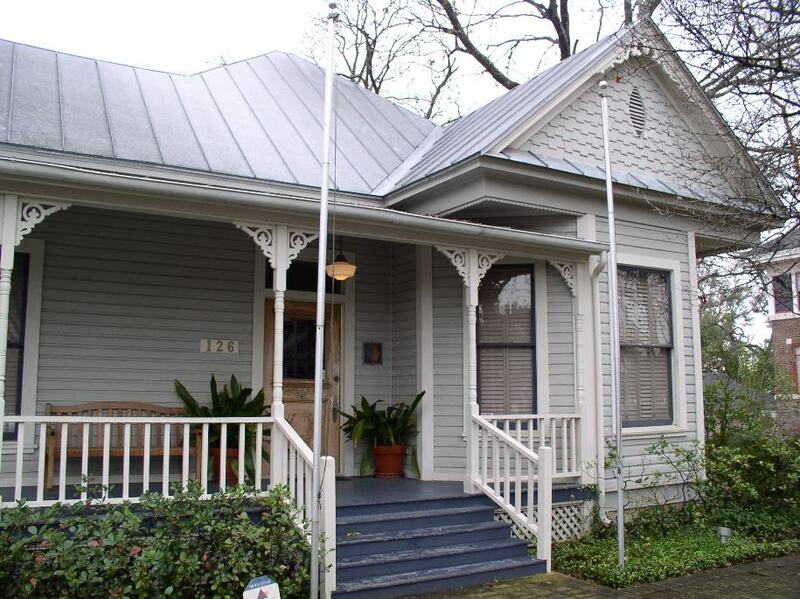 Even a small, working-class home can be adorned with Victorian-era styling, including vergeboard and polychromatic fish-scale siding.